Thursday again and time to showcase some lovely creations made by my team mates. 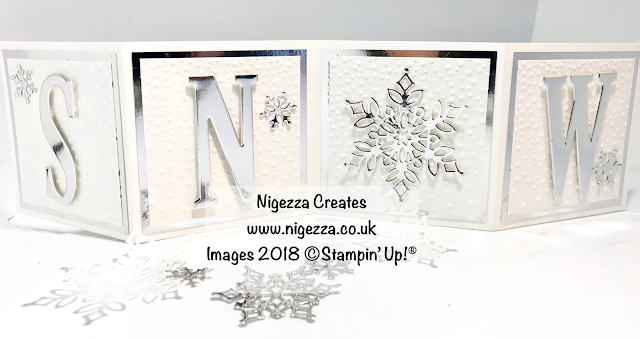 Today I have decided to focus on some beautiful projects using the bundle of products which are limited edition - the Snowflake Showcase products are only available until November 30th and only while stocks last. I'll be bringing you some of my own projects very soon but meanwhile I hope these will convinve you that you need these products! Firstly I just had to show this beautiful card from Verity of Inky Butterfly. Verity has used the large snowflake from the Snowfall Thinlits dies set. I love everything about this card - the simplicity, the white on white.....just stunning! Check out Verity's blog post HERE. Next is Gez - another stunning card using the same set - what more can I say? Check out Gez's blog post HERE. 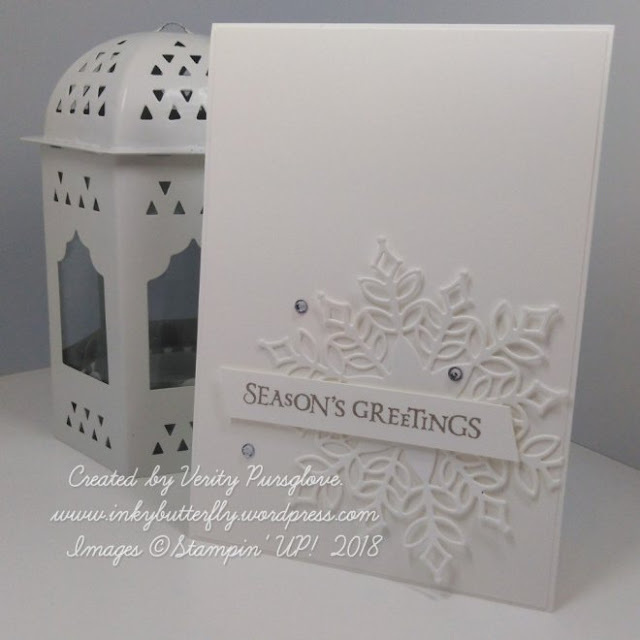 And finally I'm being a bit naughty here but I'm going back to Verity again to show you this lovely card using the Snow is Glistening stamp set.